A key focus of the Sport Welcomes Refuges project is to contribute to the creation of an evidence base regarding the social inclusion of newly-arrived migrants. Victoria Schwenzer of the German partner organisation Camino has conducted a research to identify the needs of sport educators in view of the actual challenges. 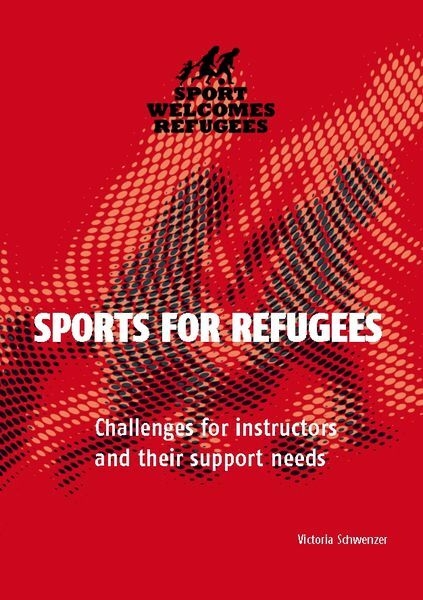 Which kind of support do sports instructors need, if they offer sports for refugee children, adolescents and adults in sports clubs, youth facilities, schools, neighbourhood centres, etc.? What motivates them to engage? Which problems, difficulties and challenges do they face? Which strategies can they recommend and which attitudes and practices do they consider important in working with refugees? In order to explore these issues, nine focus groups were created in eight countries and within this context, approximately 70 representatives of sports associations, clubs and initiatives, refugee homes and initiatives, migrant organizations and further NGOs were interviewed on the challenges associated with working with refugees. Focus groups were surveyed in Austria (Vienna), Finland (Helsinki), Germany (Berlin), Greece (Athens), Hungary (Budapest), Ireland (Sligo and Mayo), Italy (Rome) and Portugal (Lisbon). Selected key results from the focus group survey have now been published. The summary “SPORTS FOR REFUGEES - Challenges for instructors and their support needs” will assist coaches, training supervisors, teachers, specialized staff and volunteers who run training sessions to work with refugees and migrants. The findings from the different countries show many similarities; it is, above all, with respect to the challenges that they are presented as pertaining to particular focus groups, whereas the support needs and the recommendations refer to all, since they are based on general conclusions.